Despite the ambient sense of uncertainty around the globe, a very different spirit animates the MIT campus. I felt that spirit at Gray House at the start of the semester, when we hosted the dynamic thinkers and doers new to our faculty this year. Over the course of the spring semester, we have celebrated MIT's 150th anniversary with a remarkable cascade of symposia, performances, exhibitions and landmark events. The catastrophic earthquake and tsunami in Japan stand as shocking reminders of the unpredictable force of nature and the fragility of the structures on which our societies rely. It gives me great pleasure to announce the appointment of Professor Eric Grimson to serve as the next Chancellor of MIT, effective March 1, 2011. To the members of the MIT community: I write to provide an update on MIT's financial condition. After 18 months of extraordinary upheavals in the global economy, I'm often asked, "How is MIT doing financially?" While normally we report on Institute finances only at the end of the fiscal year, in these unusual times I want to update you a few months in advance. Last month's devastating Haitian earthquake delivered a terrible personal blow to those in the MIT community with family, friends or roots in Haiti, and we extend to them our deepest sympathy and concern. To advance the frontiers of knowledge and innovation, to take on the world’s great challenges, and to educate our remarkable students, MIT must attract and cultivate the finest talent. With the death last Saturday of Howard Johnson, MIT's president from 1966 to 1971, the Institute has lost an extraordinary leader, and a devoted advisor and friend. Howard Johnson's presidency coincided with a period of unprecedented upheaval on college campuses across the country. We are delighted to announce the release of two reports, by faculty from MIT's five schools, that will help frame MIT's international engagement strategy for the coming decades. The arrival of almost 3,000 new students and 50 new faculty brings a wonderful sense of renewal, accentuating the past year's many successes, from the Institute's growing research funding – up nearly 8% in the past year – to MIT's increasing role in the national debate on such critical issues as U.S. energy strategy. We begin the spring semester knowing that challenging work and hard decisions lie ahead, as we determine how to strengthen our education and research mission with diminished resources. Ambitious forward motion is MIT's signature; we celebrate initiative, innovation, relentless improvement and creative change. Yet as the world’s financial markets continue to decline, they forecast a global reduction in resources. As I write my customary autumn letter, the hopeful, bustling start of the new semester stands in sharp contrast to the ongoing turmoil in the world's financial markets. I am convinced, however, that the wisest thing we can do, individually and as a community, is to keep our focus on the extremely important work at hand. With this semester's letter, I want to try something a bit different from my previous messages. Instead of offering a round-up of recent campus news, I want to share my thinking on a very important national conversation currently gathering steam: the complex debate around tuition, financial aid, endowments and the cost of higher education. Shortly after finalizing the following letter, I received the shocking news, which has now been publicly reported, of the attack on one of our students in Next House earlier this week. Our support teams for students responded promptly and have remained deeply engaged. Yesterday's tragic events at Virginia Tech have shocked and saddened all of us. We offer MIT's condolences to the students, faculty, and staff of Virginia Tech and to their families. This past Monday, the Provost announced to the faculty our plans to undertake a comprehensive, rigorous, and systematic study of the impact of race on the hiring, advancement, and experience of minority faculty at the Institute. As many of you know, a failed faculty recruitment late last spring precipitated substantial discussion within MIT and, through press reports, outside the Institute community. In any new undertaking, such as our dynamic activities in neuroscience, we must continually take stock of our successes and failures and design new approaches to optimize our progress. 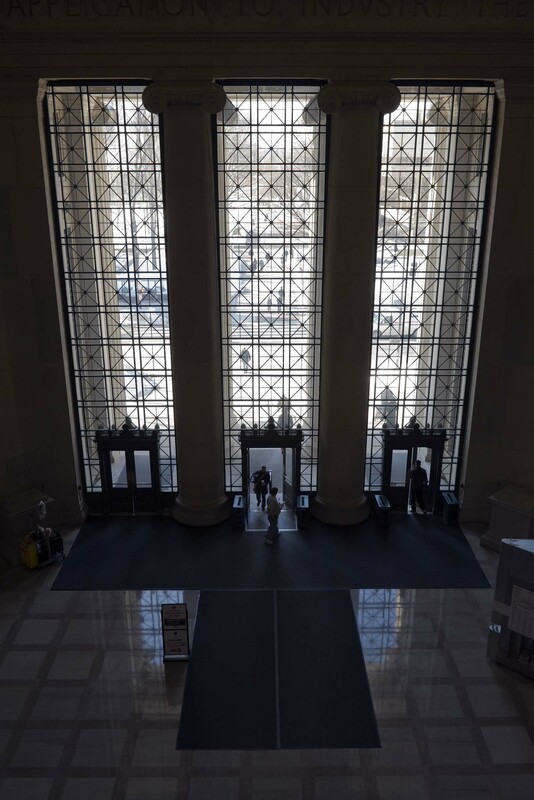 The report of the Task Force on the Undergraduate Educational Commons lays out the core course of study that MIT should require for an educated person in the 21st century. To new faculty, students, and staff, welcome! And to returning members of the community, welcome back. While we can hope for a few more glorious weekends of late-summer weather over the next month and a half, we've already felt that fall snap in the air, and our academic year has begun in earnest.